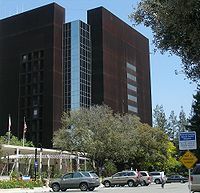 English: Santa Clara County — in the eastern San Francisco Bay Area, California. Español: Condado de Santa Clara — California. Media in category "Santa Clara County, California"
This page was last edited on 19 June 2018, at 19:28.